It’s every booklover’s nightmare. You’ve just filled up the last book-shaped space on your bookshelves. You know you have plenty of books to read, probably enough to last you for years. But next month a great new title is coming out and you’ve been waiting forever to read it. All your book-loving friends are going to be chatting about their favorite new discoveries, and someday you’re going to walk into a bookstore. It’s inevitable. There’s a constant struggle in book-loving households to keep books from becoming clutter. No one wants books to become clutter because then someone might suggest we get rid of them, and we don’t want to face that! But don’t despair, there are plenty of fun things you can do with your books when you’ve run out of shelf space! Start a Little Free Library! The Little Free Library movement has taken the Internet by storm. It’s simple; set up a water-proof structure that people in your neighborhood can access and keep it stocked with books you want to share. This way you can share your love of reading with your neighbors and encourage them to share as well! The great thing about Little Free Libraries is that you can decide how much time you want to spend creating yours. If you aren’t feeling crafty, you can buy a pre-made library. Lots of people like to buy labels or stamps to stick inside their books, marking them as belonging to the little free library. If you’ve got lots of excess books, you can cycle them in and out of the library depending on how many books are out at the moment. Alternatively, if you don’t care whether or not the books come back, you can institute a trade system for your little free library where someone takes a book and leaves one of their own. Lots of people are having fun sharing stories about their little free libraries, so it comes with the added bonus of community. It’s always a little easier to part with something, even an inanimate object, when you know it’s going to a good home. If you can’t keep all your books, and don’t want to get rid of them or donate them (to a library or used bookstore), ask your bookloving friends if they might want to give them a try. This is a great way to get rid of a series you’re finished with and don’t feel like holding on to. It’s excellent for your friend as well because they don’t have to wait to pick up the next book. 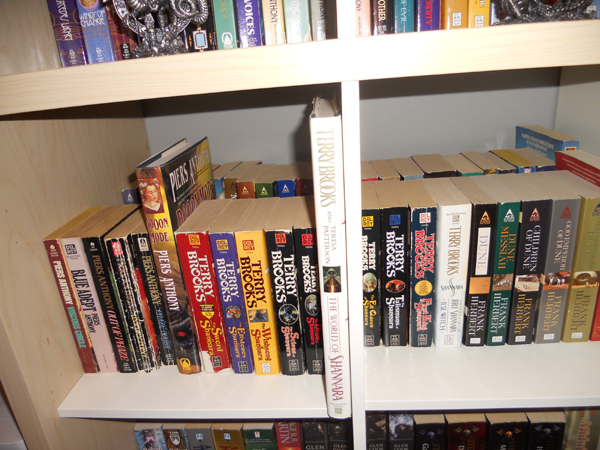 When I finished reading the Redwall series, I set aside my Redwall novels for a friend who expressed interest. She wants them as a ‘my first fantasy series’ experience for her boys when they get a little older. I don’t plan to read them again, and actually think they work best for a younger audience, so it worked out for both of us! I like the idea of being a little book matchmaker. And a whole book series would make a great gift. Most people don’t mind receiving used books anyway and they don’t need to know it’s the same series they saw on your shelf. Send Your Books on a Journey! If you only need to get rid of one or two books, and can’t rehome them, consider sending them on a journey. Back when we still lived in Toronto, we came upon a book left in a mall food court. It was labeled with a sticker from BookCrossing. The process is simple, go to the website and print out the special label for your book. Then release it into the wild, anywhere a booklover might find it. When a fellow booklover discovers your book, they can register on the website where they found it and where they released it. So you can track your book on the world map! We sent the book we discovered with a friend all the way to Texas where he released it back on its journey. You never know where your book will end up! The only downside to this one is you pretty much have to be willing to let the book go forever, because there’s no real way to get it back. This is my go-to method for dealing with lack of space for new books. In fact I’ve started planning my bookshelf purchases around this principle. There are lots of ways to find more space for books. You could just look around your house and see what space isn’t being utilized. Pinterest is great for this too. If you’ve got space under your staircase, you can tuck a reading nook in there. 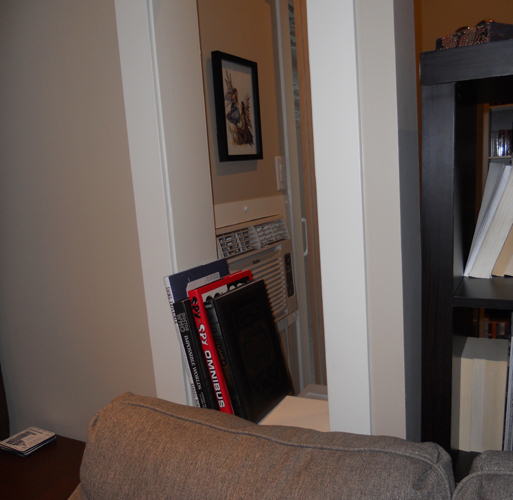 There may be tons of places you can fit custom bookshelves you haven’t even considered yet. Staircase of books? People have done it! But my method is a little simpler. I double up on my existing bookshevles. Ikea has some nice, deep bookcases that easily accommodate two rows of books on each shelf. One of my bookshelves has three rows of books on the bottom row! 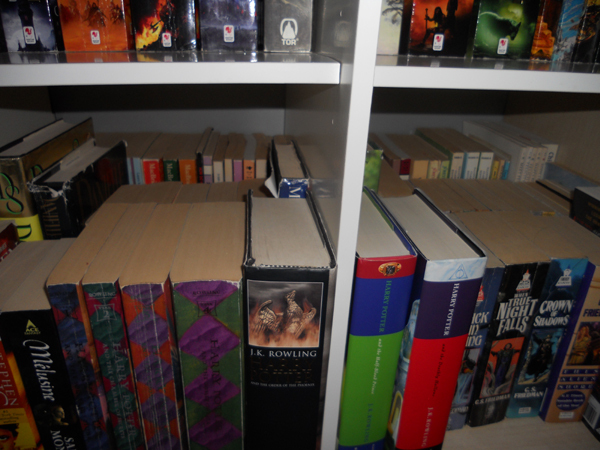 I’ve also seen pictures where people have turned the books in different directions to make more space. All it takes is a little creative thinking. What do you do when you need to make more space for books? I did major downsizing of my book collection ^^;; I had a lot of books I wasn’t going to read again, so I cut it down to just my favorites or things I hadn’t read yet. I offered everything I culled to family and friends first, then the rest went into donation boxes. I like the idea of BookCrossing. I might look at that one next time I have an unusual title to let go. Crystal Shrouded Goddess – Available Now!